The 2018-19 7DAYS EuroCup season will go down to the final game! 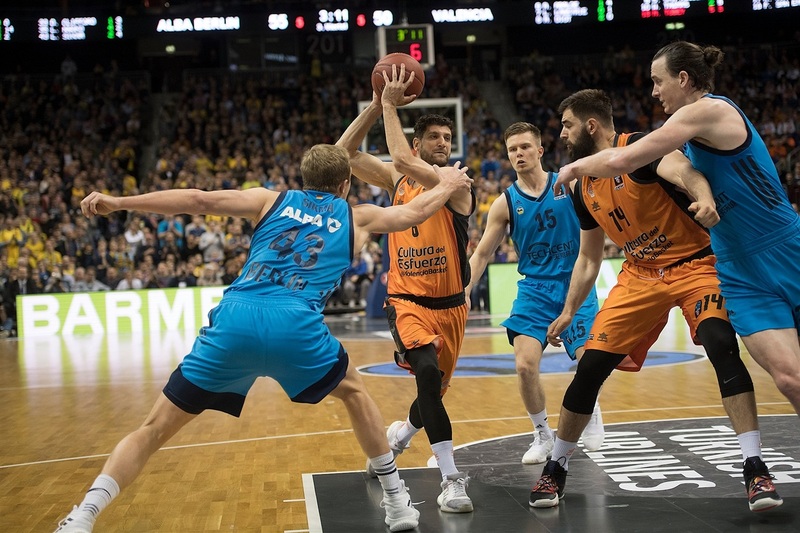 ALBA Berlin bounced back from its initial loss in the best-of-three series by forcing overtime and downing Valencia Basket 95-92 in Game 2 at Mercedes-Benz Arena on Friday. 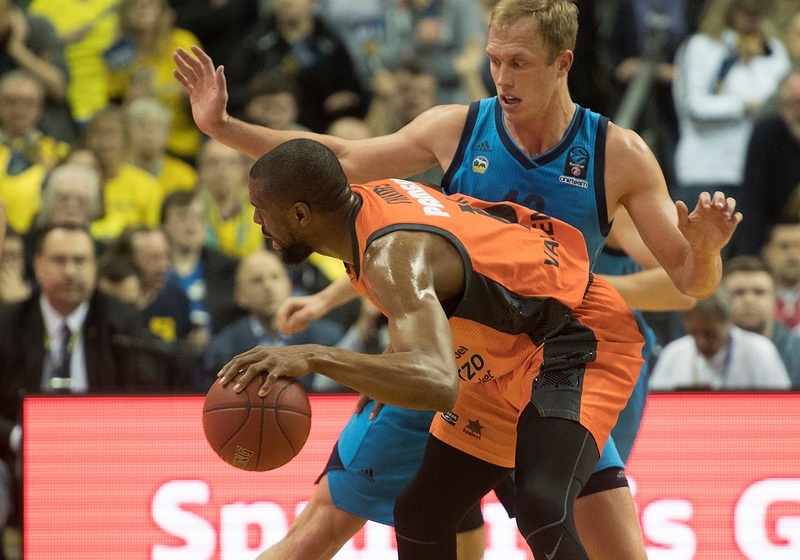 The series is now tied at 1-1 and Valencia will have home-court advantage in Game 3 at 20:30 CET on Monday, April 15. 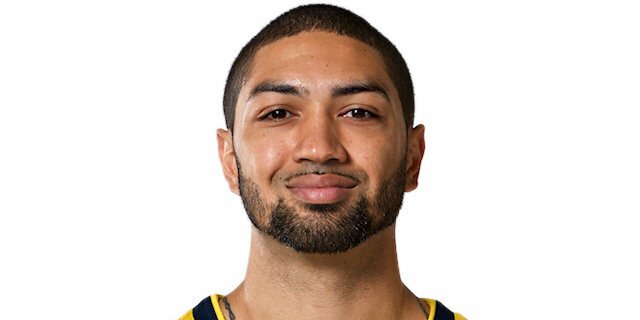 In a game in which neither team held a lead bigger than 7 points, Peyton Siva was one of ALBA’s heroes, making a layup with 2.2 seconds remaining in regulation to force overtime, 83-83. 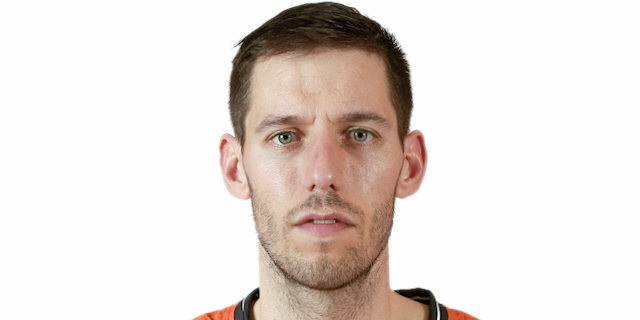 ALBA opened the extra time with back-to-back threes from Rokas Giedraitis and Luke Sikma, and never relinquished that lead. Giedraitis had 17 points to lead all ALBA’s scorers, while Sikma had 15 points, 6 rebounds and 4 assists. 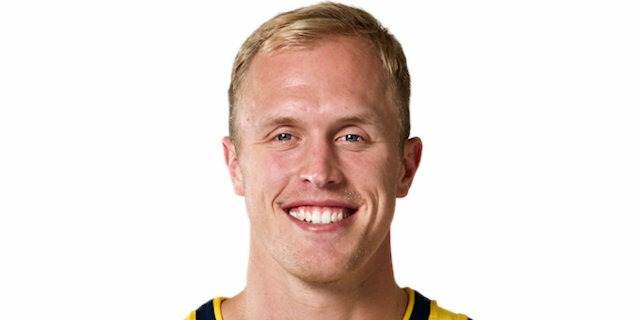 Siva and Martin Hermannsson each had 14 points plus 6 assists, and Niels Giffey netted 11 points in victory. 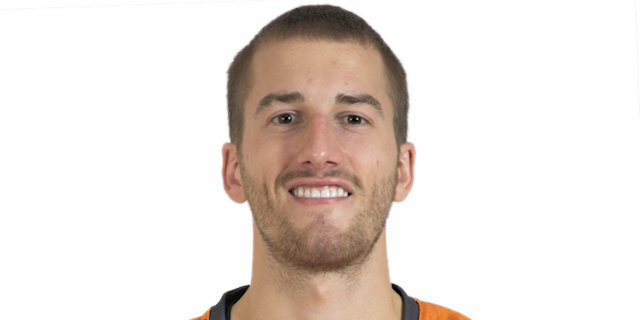 Sam Van Rossom kncoked down 6-of-8 triples for Valencia, scoring 22 points. 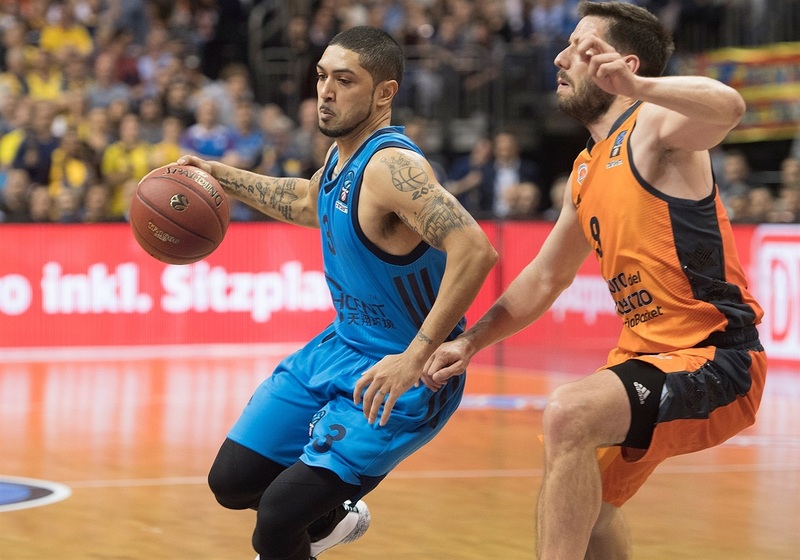 Fernando San Emeterio scored 16, and Will Thomas had 15 points, 5 assists and 4 rebounds in defeat. 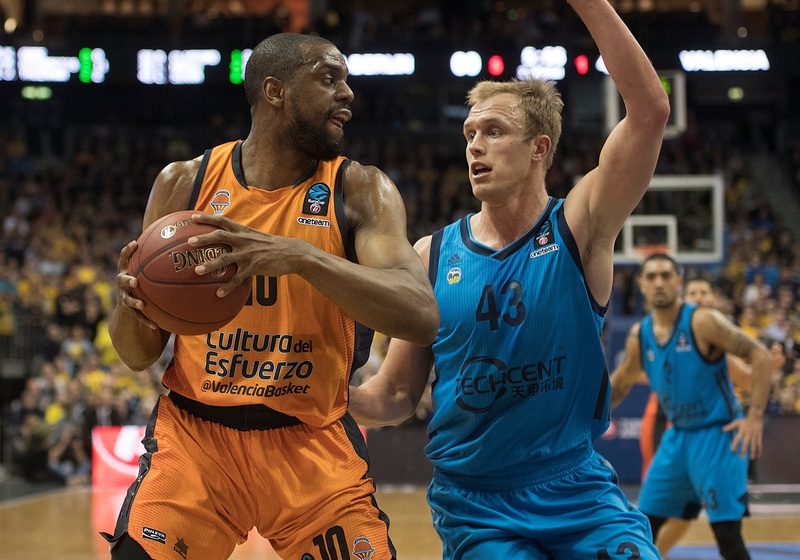 Mike Tobey had a three-point play and San Emeterio struck twice from downtown to give Valencia an early 6-9 lead. 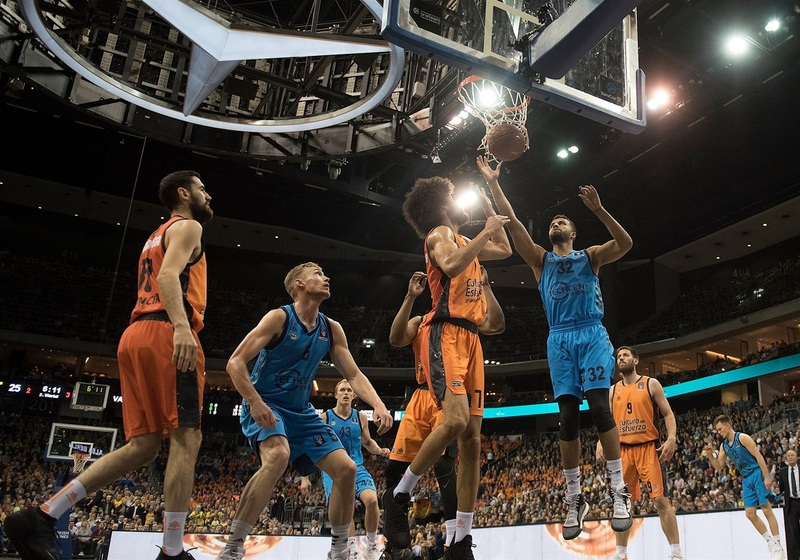 Will Thomas and Van Rossom each hit one from beyond the arc to keep Valencia in front, but a jump hook by Sikma and a three-pointer from Franz Wagner helped put ALBA in front. Another three from Wagner and a driving layup from Siva gave the hosts a 23-21 lead after 10 minutes. The teams continued trading blows, with Matt Thomas burying a three-pointer, while Sikma scored twice inside. 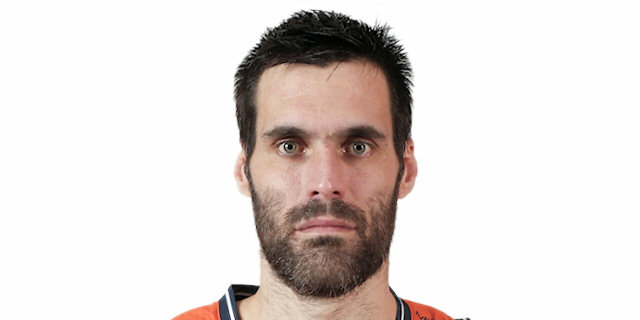 A three from Joan Sastre put Valencia back ahead, 27-29, but Hermannsson’s 6 quick points restored ALBA’s advantage, before Giedraitis and Johannes Thiemann fueled a 7-0 run for a 40-33 ALBA margin. 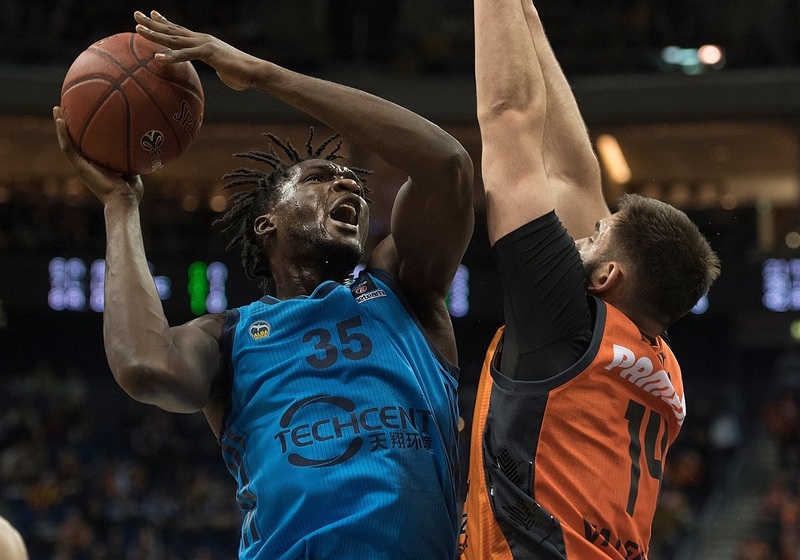 However, Dubljevic, San Emeterio and Will Thomas brought Valencia within 42-39 at halftime, and the same three players put together another 0-6 run that had Valencia with 47-48 lead in the third quarter. A three-pointer by Giedraitis and a layup-plus-foul from Giffey put ALBA in front again, 62-59 after 30 minutes. 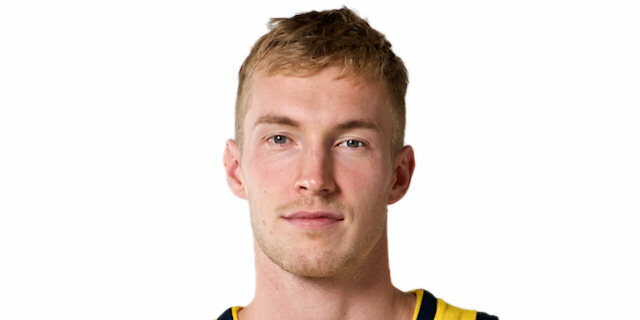 Sikma downed a jump hook early in the fourth quarter but Van Rossom did better with a bomb from downtown and a layup by Aaron Doornekamp tied it at 66-66 with 7 minutes left. 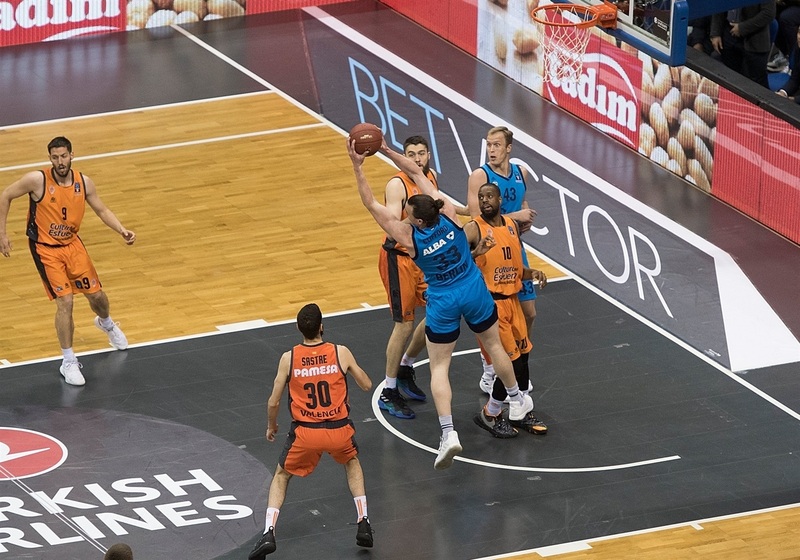 Louis Labeyrie scored twice around the basket to cap a 0-9 Valencia run, but Giffey ignited the crowd with a huge dunk before a three-pointer by Van Rossom gave the guests a 66-71 edge with 3 minutes left. 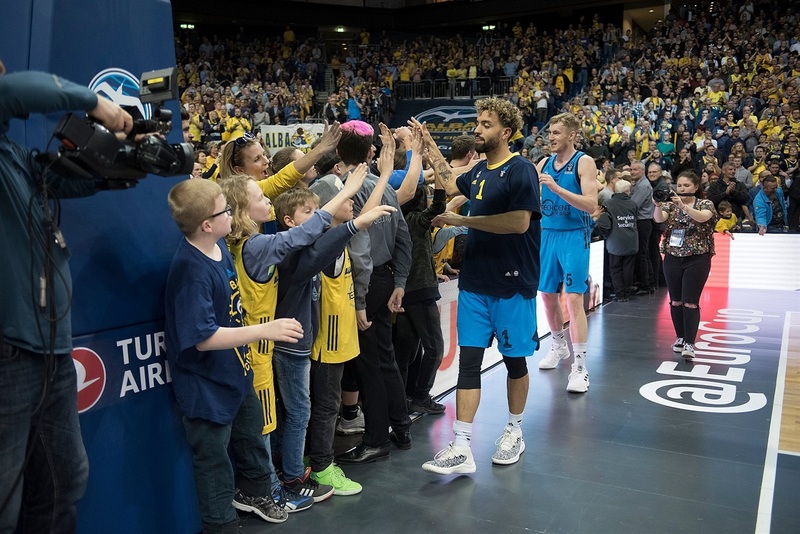 Joshiko Saibou and Siva tried to change things for the hosts and a layup by Sikma gave ALBA hope, before a three-point play by Thiemann tied the game at 76-76, with 1:34 to go. Thiemann put ALBA ahead with a layup, but Van Rossom buried a three-pointer with 27.4 seconds on the clock. Siva only split free throws for the hosts, and San Emeterio nailed both to make it 79-82. But ALBA kept believing, and after split foul shots from San Emeterio, Siva scored an uncontested layup with 2.2 seconds left to make it 83-83, forcing overtime. In the extra session, Giedraitis and Sikma each hit triples to open a 89-83 lead. Van Rossom answered with a downtown shot of his own, and had another one after an offensive rebound from Will Thomas to cut within 93-92 with 54 seconds remaining. 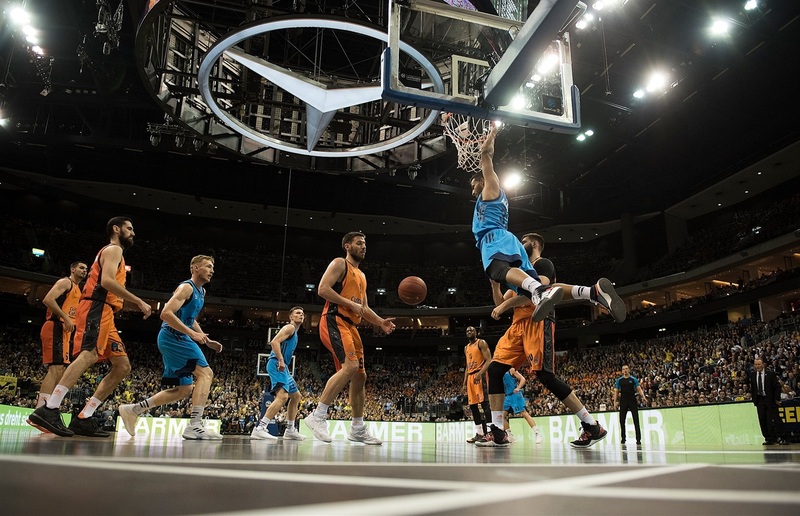 Valencia had a chance to take the lead, but Matt Thomas missed a corner three and Sikma gave ALBA a 3-point cushion with a pair of free throws. The hosts prevailed by making one more defensive stand as Matt Thomas’ last-second step-back triple hit the front rim. With 187 total points, this was the highest scoring EuroCup Finals game ever. 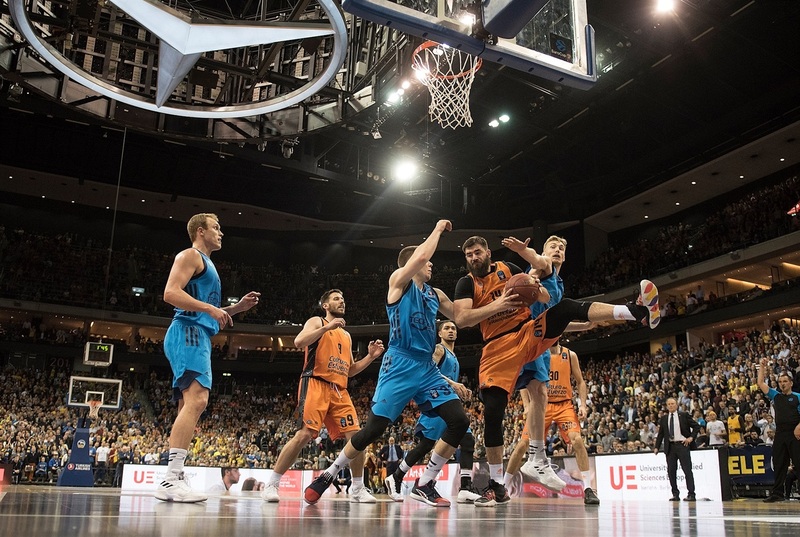 No team in EuroCup Finals has scored more than ALBA’s 95 points, which surpassed the previous high of 92, by UNICS Kazan in 2011, and Valencia in 2010. Valencia matched those 92 points in this contest. 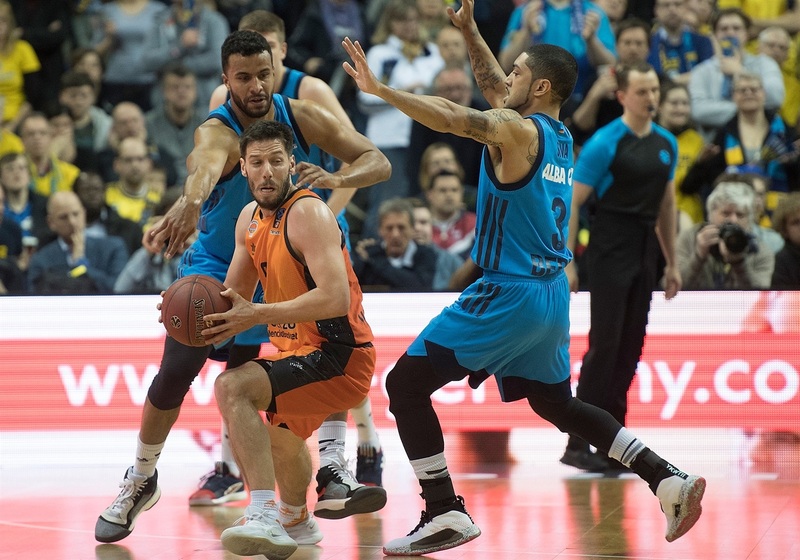 Rokas Giedratis opened overtime by missing a three-pointer, but that did not stop him from trying another on the ensuing possession. 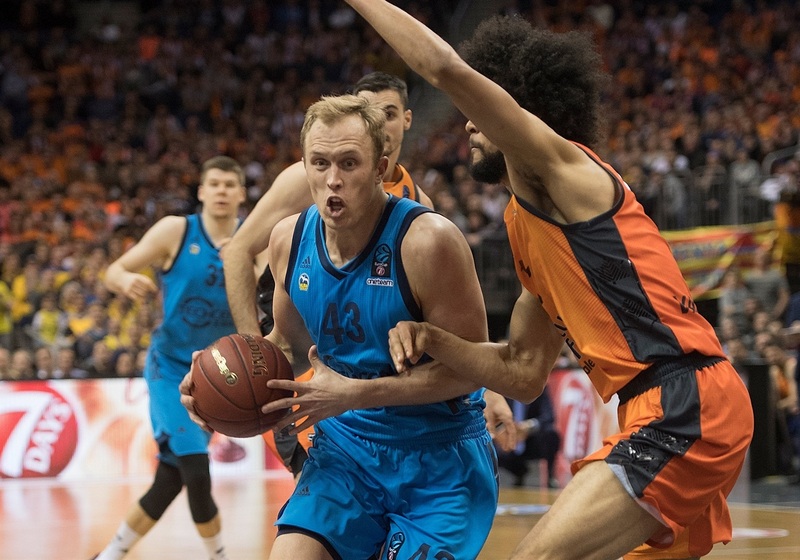 He made that one, and Luke Sikma followed by making a wide-open three of his own, giving ALBA an 89-83 lead to start overtime, which they did not relinquish. 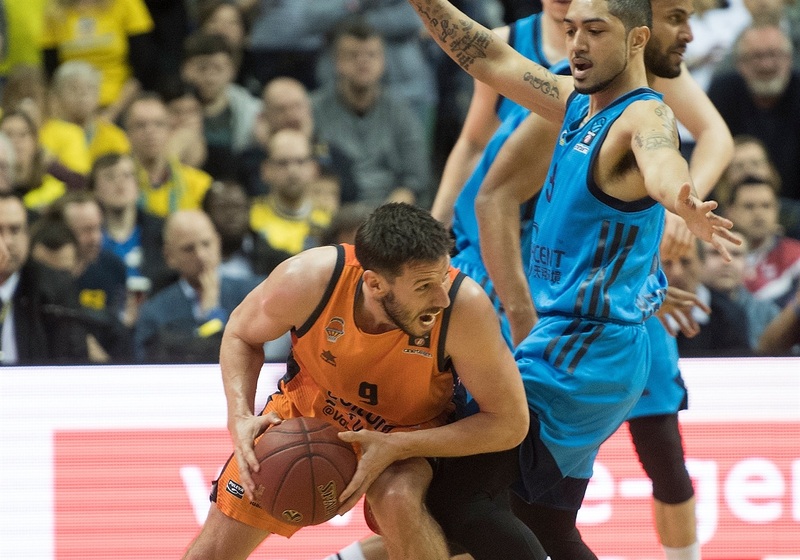 ALBA had 20 assists and 8 turnovers, while Valencia had 16 assists but was forced into 18 turnovers. 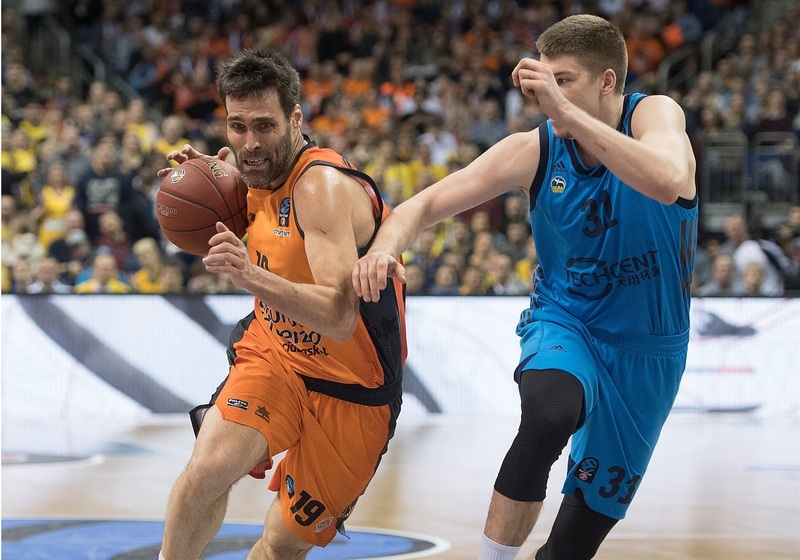 Valencia hit 14 triples, one shy of its season high, and the second most in a EuroCup Finals game in the history of the competition. However, it was not enough to win Game 2. Valencia will host the deciding Game 3 on Monday. 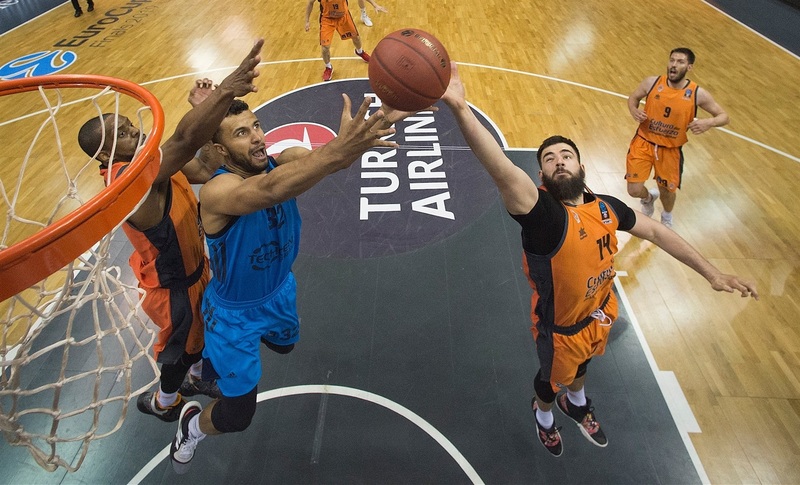 This is the second time in three seasons since this format has been adopted that the EuroCup champion will be crowned in a series decider. The first time it happened, in 2017, Valencia lost Game 3 on its home floor against Unicaja Malaga. 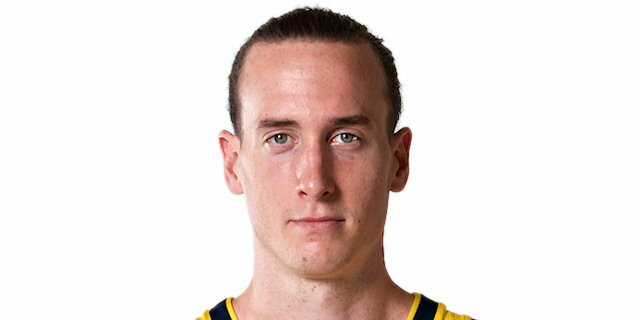 "First of all, congratulations to ALBA Berlin. They played a great game, but they also played well in Game 1. Their playing level in both games was good. I am satisfied because my team gave 100% effort. We made some mistakes. We had problems, especially with turnovers and sometime with rebounds. I think we improved during the game, controlled the boards and changed the situation. Turnovers, especially in some key moments, allowed ALBA to control the rhythm. Some of our players had foul problems tonight and we need to learn the philosophy and mentality of the referees to adapt better. We have one more game and know that we are ready. At the same time, we play against a team that had more confidence today. 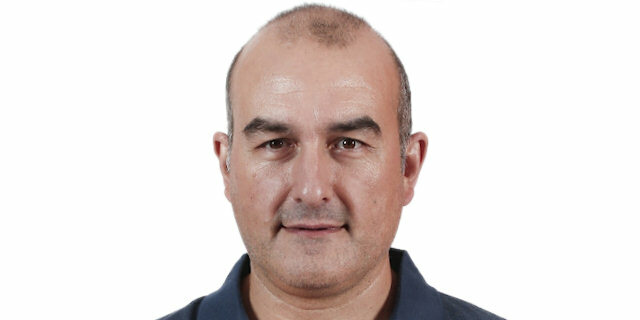 If we want to beat ALBA, we need to play better than in this game and Game 1. [On the game-tying shot missed by Matt Thomas] If I remember correctly, Luke Sikma switched and was on him, and forced him into a bad shot. Matt did not think about dribbling to take advantage, step back and shoot. He doubted and maybe didn't take the best decision, but it is clear that we wanted to get him open for a shot, and we didn't manage it. We cannot have regrets - they play good defense in all these special situations. We have to get more options, more passing lanes because they can collapse your offense, especially beyond the three-point line." "This is why you get what you deserve when you play at home, and this is why the top teams have an advantage - the home-court advantage! We felt it today, they felt it in Valencia a little bit - you feel more comfortable when when you have your fans' back. It felt awesome - this is a big gym and you don't see it that full too many times. It was an awesome crowd, and good fun. I think pressure goes both ways this time. There is no time to really relax and overthink it, but they have bonus of playing Game 3 at home. I think it makes a little difference, but you never know when the pressure is on." "That was really cool! We talked about that before, just how anticipated the atmosphere was going to be, and it was really exciting. I think that really helped in a game like that, just the energy in the stadium, the positivity of all the people that had our backs, it really helped us. In Game 3, rebounding and making sure we control the paint will be the keys. I think we did a much better job at that because they play inside out. If we control the inside then they won't get as many threes in rotation, and then focus on playing an away game with the right mentality. You have to go into their house and steal the game." "It was great, more than anything, to play in front of our fans and use their energy. Hopefully we can bring back the trophy. The intensity was way better - just guys stepping up and making plays at the right times. It was up and down for the last quarter and overtime, and neither team ever gave up. It was close at the end and we just made a couple more plays than they did. Tight, competitive games like this go down to a couple of plays. We earned an opportunity to compete and fight for the trophy in that third game in Valencia. We just have to go there and enjoy it, and try to bring the trophy home." 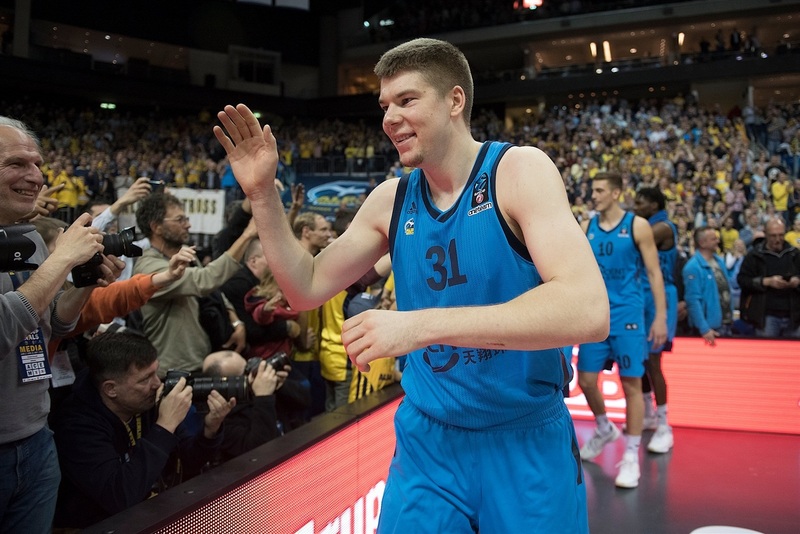 [On the basket to force overtime] "We drew up a play to get Rokas [Giedraitis] a good shot. It came out, they switched, we swang it back and for me, I was just in attack mode. I wanted to get to the basket, we were in the bonus, so if they fouled me, I could go back to the free throw line, make two, but I am glad it went in and we had to take the game to overtime. Everybody stepped up big in the extra period, so I am very happy. I am very excited - to be honest with you, I didn't want them to eliminate us in our home court, so we go back down there and give it another shot. We played a good game down there and they shot the hell out of it today, and we won. We will continue to hit the glass, that was a big factor today. We will see how it goes." 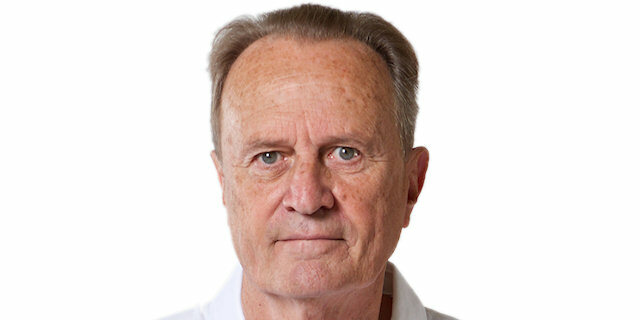 "We knew it was going to be very difficult to win in here, and we were very competitive. We were close to winning the game but in the end, we were not able to get the win. We now have to focus on Game 3 on Monday. We dominated the offensive board in Game 1 and they did that tonight. That is a critical battle - whoever wins that in Game 3, will be on the right track to win." "We were right there, and we are disappointed. We have another opportunity on Monday - we have to be focused and ready for it. We just didn't make enough plays down the stretch and they made a couple more. In a game that close, it comes down to a couple of small things and they made more plays down the stretch. It was great to have so many fans here, it says a lot about them." "Both teams played well today but we came up short. It went down to details at the end of the game. We were close, but we have another opportunity on Monday and have to give 100%. Our fans will push us like they did today. With them in our home court, we always get a push of energy. We will try to feed off that energy and play a good game."